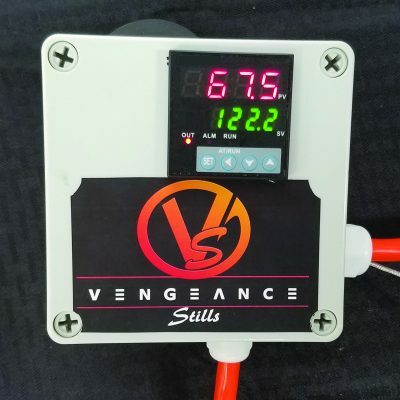 The V1 by Vengeance Stills is hands down the best value on the market for Variable Power Control. Super easy to use. 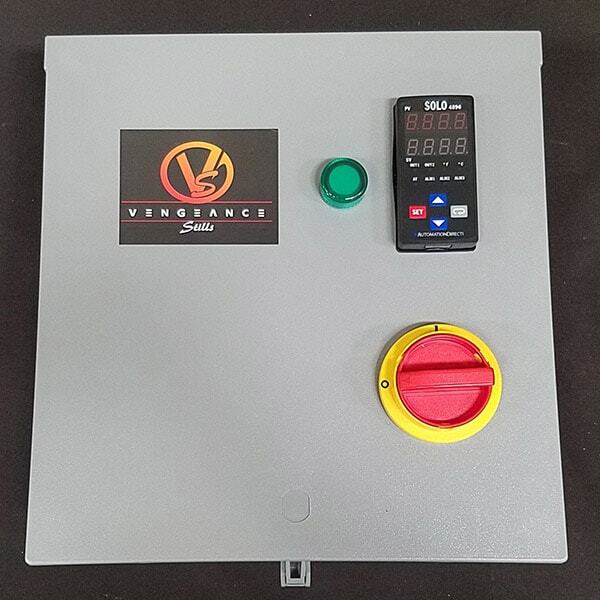 For use with Stills up to 10 gallons and Fermentation Tanks up to 55 gallons. 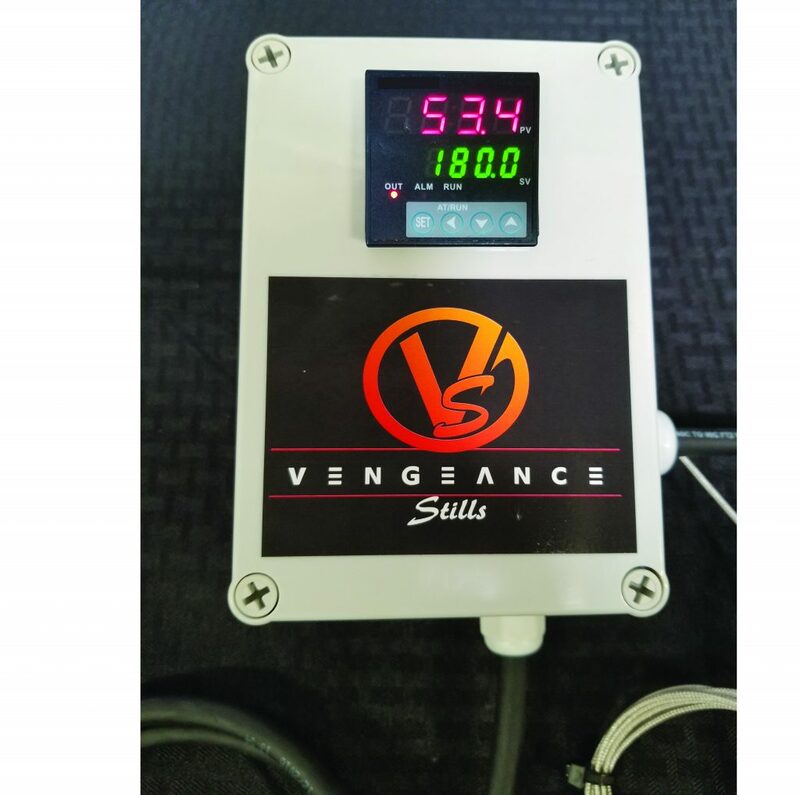 The Vengeance V1.5 has enough power to achieve distilling with Pots up to 10 gallons. 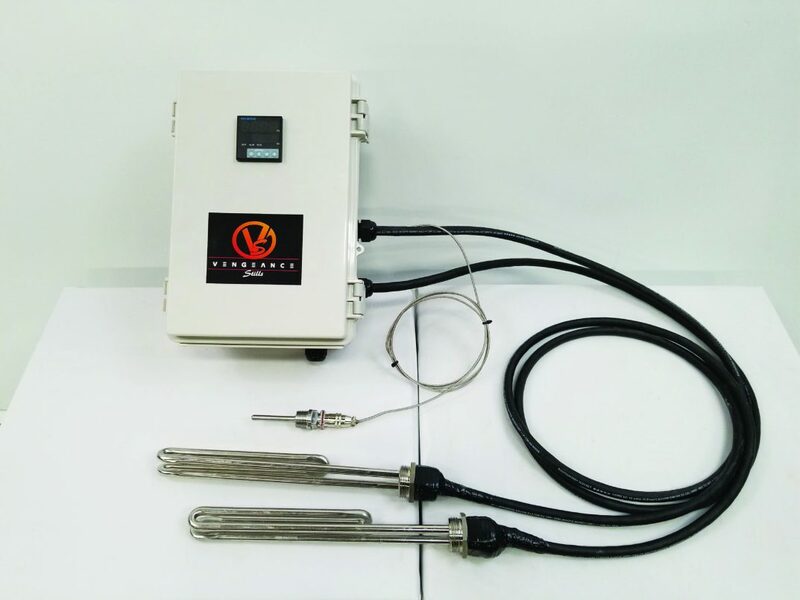 Fermentation tanks needed to achieve 150 degrees can be as large as 55 gallons.